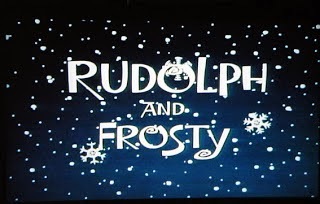 Oh, and we happen to establish the source and purpose of Rudolph’s magic, which I don’t want to spoil for you. What? You didn’t think Rudolph the Red-Nosed Reindeer was an epic fantasy hero? You thought wrong, my friend. Sure, there are plenty of comedic scenes where the pacing starts to drag, more than a few plot holes, and a few of the minor villains fall rather flat. Some of the villainous moments are amazing, though, plus Ethel Merman stars in a supporting role, and the cameos and references to the earlier specials just keep coming. There are allusions to a much larger world of wintry magic, which we kept being intrigued by. I found the songs very sweet and mostly pretty good; they were written by Johnny Marks, the songwriter behind the original Rudolph song. There’s also a huge amount of romance in this one. New minor characters Milton and Laine, Frosty and Crystal, Mr. and Mrs. Claus; the action keeps pausing to really let us feel the love in each couple, often in song. 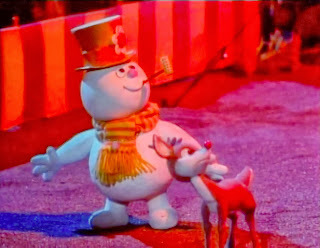 This is a sequel that improves vastly for having seen the previous specials, but I think it would be a pretty entertaining watch for any fan of stop-motion and Christmas stories. But for folks like us, fans of both Christmas and super-mega crossover events, this is downright awesome.